This is a must have for any Skateboard mad coffee drinker. 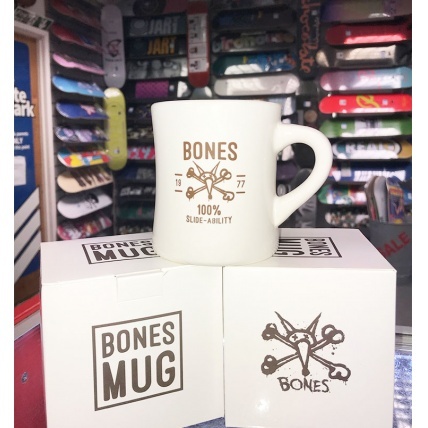 The bones 10oz Ceramic Mug is spot on for size vs heat ratio... This thick walled mug keeps your coffee warm until the end. Finished off with a decent sized ear shaped handle, this is ergonomically designed to keep your hands safe and comfortable whilst sipping your favourite hot beverage. The benefits don't end there though... If you don't like Tea or Coffee, it also works as a fabulous pen holder, or any other use you can think up. 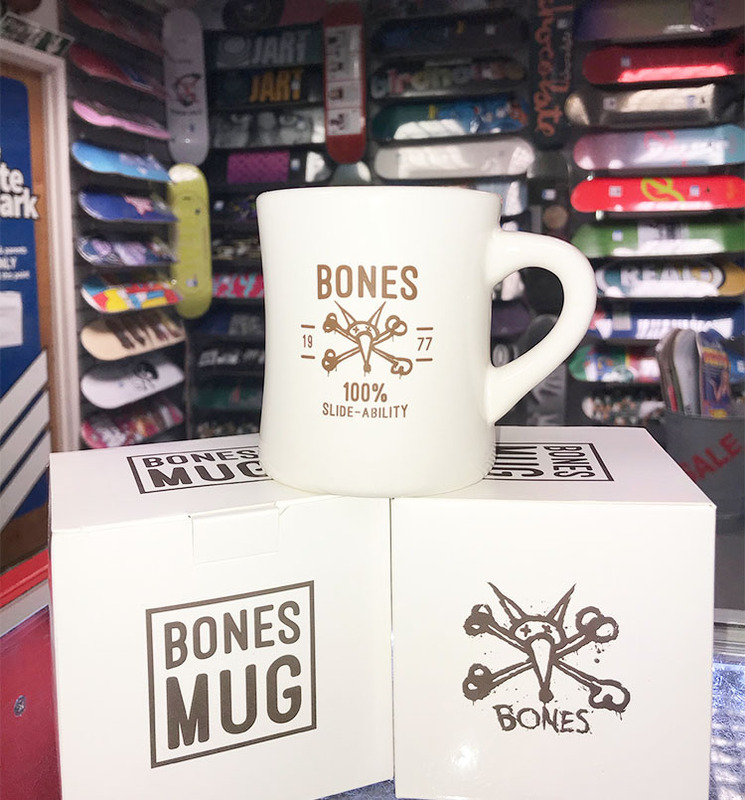 This is more than a mug, from one of the top skating manufacturers of all time. Complete with a box to protect the mug in transit, and to easily wrap it up for a great gift.